There are many obstacles which will make this task a difficult one, including dangerously tall buildings and Jack Frost's savage icicle attacks. The more presents you deliver without dropping, the higher your multiplier. For each multiplier you will be given a different fancy dress costume to deliver. Get all 16 costumes for the ultimate score! If you want to play Santa Vs Jack games online you have come to the right place! GamesLoon adds new Santa Vs Jack games every week. This is your game portal where you can find the biggest collection of free Santa Vs Jack games online. 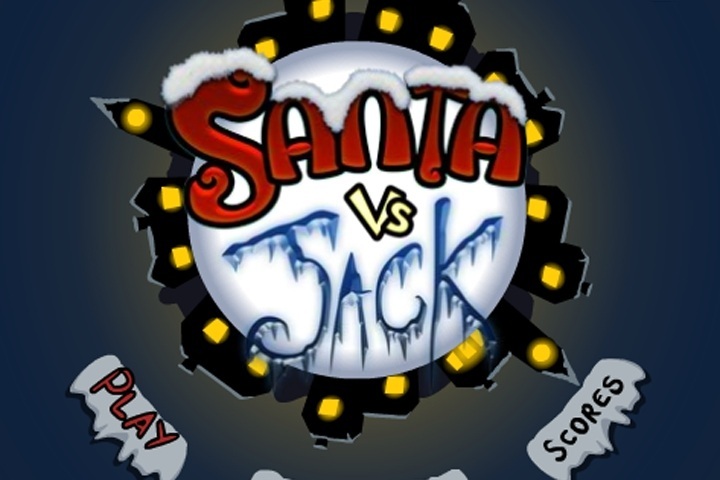 Do not forget to rate our Santa Vs Jack free online games while playing!